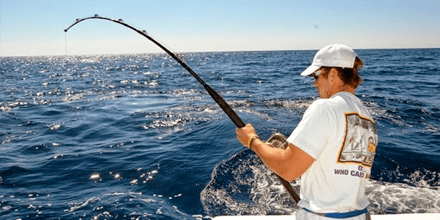 If you check online, you will discover plenty of service providers that offer tarpon fishing. Before going for tarpon fishing, it is vital that you read some major aspects discussed here. As they can breathe air from atmosphere and possess swim bladders, they are found in both freshwater and saltwater. They prefer consuming shrimp, crabs, and small fishes. As they possess hard mouth, it becomes difficult to hook. Keep in mind that tarpon fishing can look challenging the first time. A reasonably heavy or even a light tackle is suitable for catching the fish. It is also possible to catch a 100 lb. tarpon by using a test line of only 8 lb. Well, this is mainly suitable for experienced anglers. You can settle for 30 lb. test line. If you are going for the first time, then you must chose poppers, soft plastic lures, and jigs. Avoid using jerkbaits if you aren’t an expert, as treble hooks fall off easily. Prefer using lure with one hook, as it is not easy for tarpon to throw it off. For those seeking best tarpon fishing in Miami, Florida, Fish Jumanji is worth trusting. This company offers affordable charter options with all basic amenities and multiple luxurious facilities. Get a detailed idea about our fishing charter solutions from here: fishjumanji.com. We also offer shared charters that can help you save a lot of money.